Your pet can wear the game like never before with the stylish officially licensed MLB reflective nylon collar from GameWear! 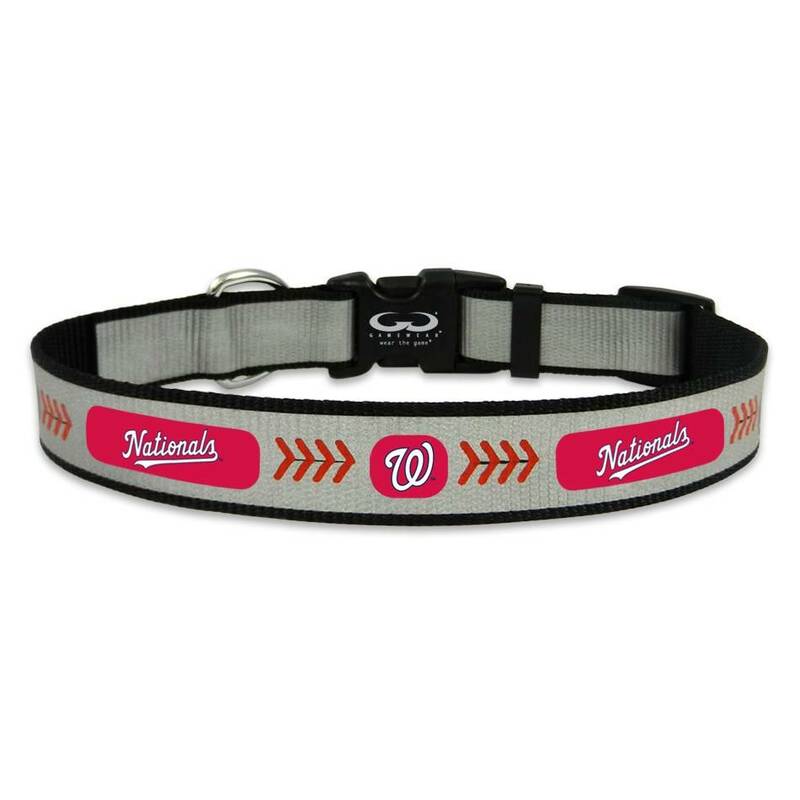 Your pet can wear the game like never before with the stylish officially licensed MLB reflective collar from GameWear! Emblazoned with Washington Nationals team and baseball seam graphics, this collar is made from a reflective material that is pressed onto nylon webbing. This collar is fully adjustable and features a sturdy quick-release buckle, for easy access on and off, and a durable metal D-Ring.